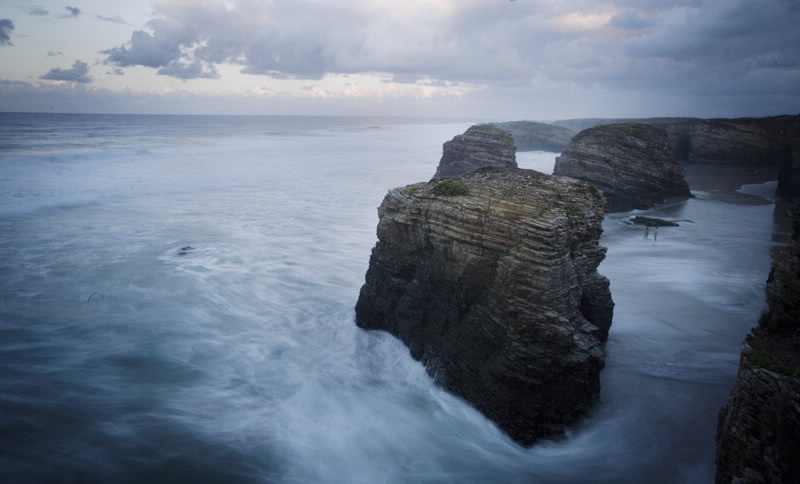 The step that forms the so-called Cantabrian platform reaches the category of geological monument here. 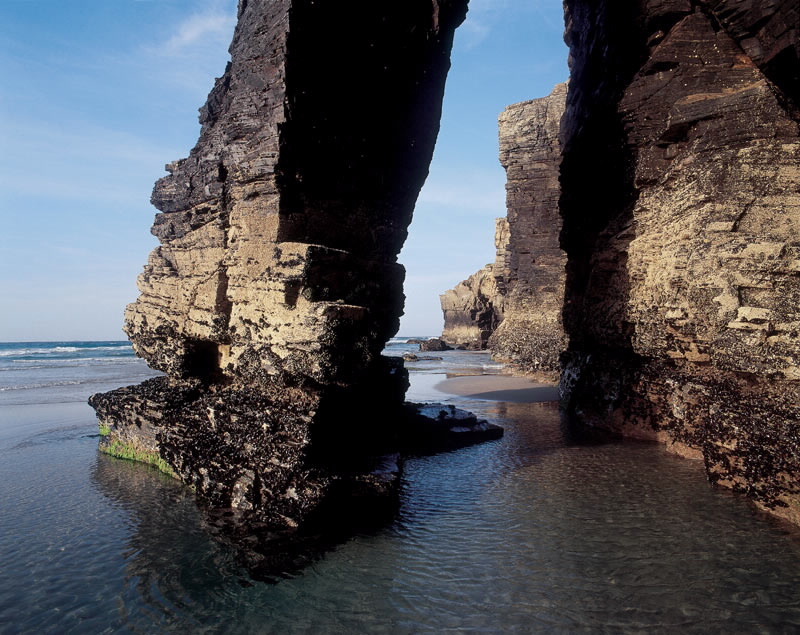 In the cliffs the sea has sculpted a whole range of arches, columns and vaults which led to the area between the beaches of Augasantas and Carricelas and known to tourists as the Praia das Catedrais. Access is easy. There is also has a good walk along the upper edge and information panels. However, leaving our footprints in the sand is only possible at low tide. Walking along the sand at low tide and venturing into the caves with the momentary permission of the sea increases the sense of adventure. Thousands of photographs of the beach have been taken in recent years, all with the emotion of an unrepeatable moment. Each photo is unique. Every visit is different. 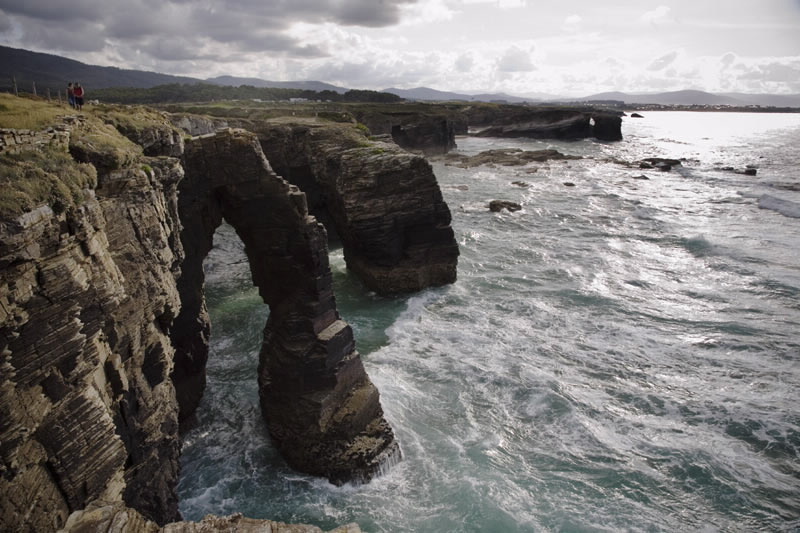 The sea always erases previous traces, but the succession of monumental arches remains. The protected space within the Red Natura 2000 includes a stretch of coast about fifteen kilometres long containing other fine beaches such as the Os Castros beach and the picturesque port of Rinlo. On the N-634 (A Coruña-Santander) road, turnoffs to the coast on the stretch between San Miguel de Reinante and Rinlo. Local roads parallel to the coast. 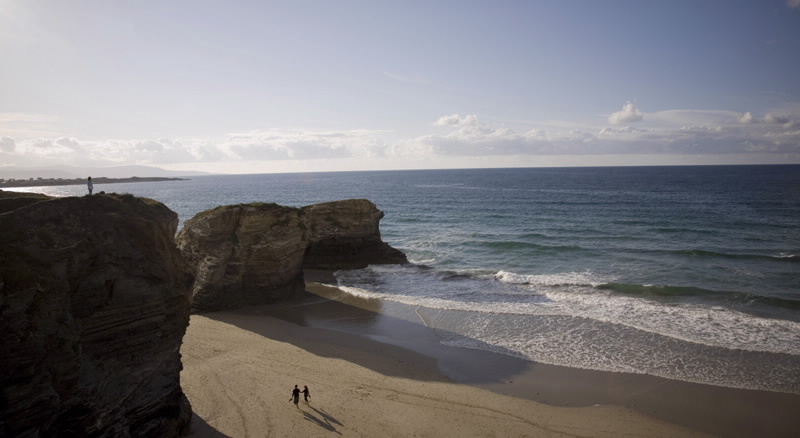 In the municipality of Ribadeo, capital of A Mariña oriental, in the province of Lugo. The SCI extends between the municipalities of Barreiros and Ribadeo. National monument: 28.94 hectares, of which 20 hectares are sea water. SCI: 304.36 hectares. Accommodation and food in nearby villages and beside the road.